My Life with Pipidinko: Yay! He is coloring! 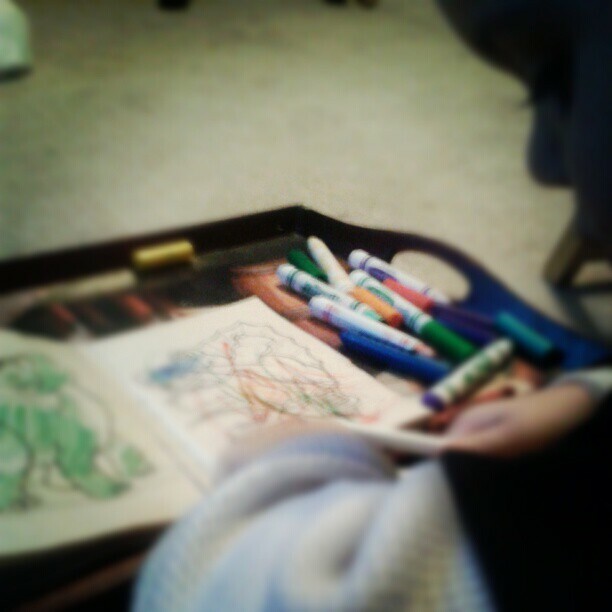 Santino never liked coloring in the color albums. Usually I would sit there coloring dinosaurs and Elmos, while Santino is stuffing markers and crayons in whatever odd place he would find at the time.